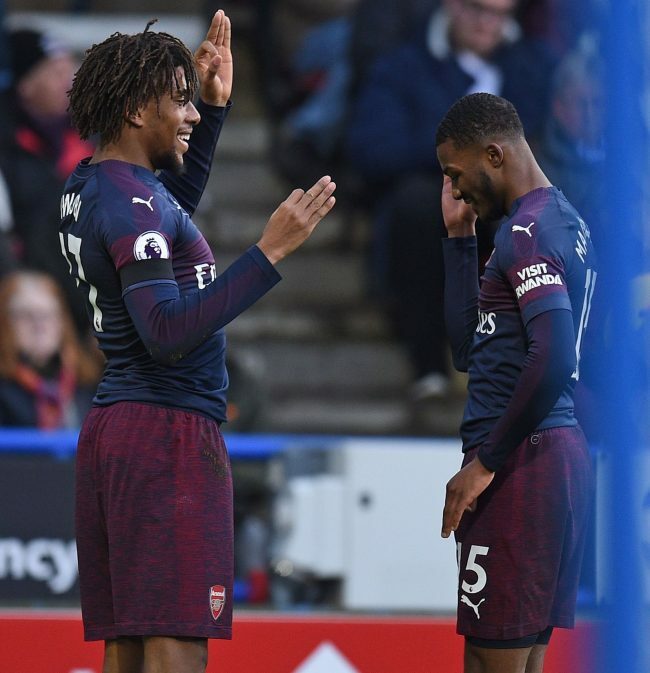 Arsenal manager Unai Emery has expressed delight with the performance of Alex Iwobi in Saturday’s 2-1 win at Huddersfield Town, but insists there is room for improvement for the young Nigeria international, reports Completesports.com. Iwobi, 22, netted the opener in the Premier League encounter at the John Smith’s Stadium with the effort deflecting off Terence Kongolo. It was his third goal of the season and came as a relieve after he was widely criticised for his poor showing in last weekend’s 3-1 away defeat to champions Manchester City. Iwobi looked particularly bright at the start of the campaign and appeared to have adapted well to Emery’s system following the departure of Arsene Wenger. Emery believes things will get better with his team at the season progresses. “Each training, each match is a big a challenge,” Emery added. “You can win, lose, draw, but the most important thing is going ahead thinking about creating – little by little – an identity, collective spirit, team feeling.